Lower Oxen Furlong was bounded on the north by Higher Oxen Furlong (1407), on the west by Oxen Furlong (1408), on the east by Nobles Nap (1401), Arnold's Close (1402) and Piccadilly (1403), and to the south by Tintinhull Road. It is most likely that in earlier times Oxen Furlong together with Higher and Lower Oxen Furlong was one large field called Oxenfurlong. 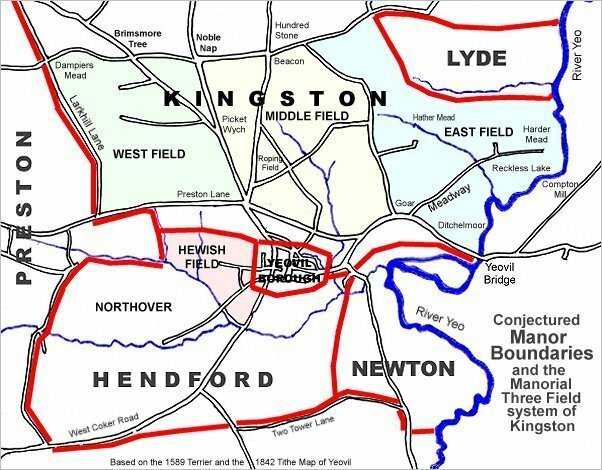 The 1589 Terrier in referring to the boundaries of the 'Middle Field at Kingstone' states "From Marshweeche to Brimsmore Tree and from thence to Picked Weech being oxen Furlong and wide Gore". In 1790 six acres of Oxen Furlong, together with two acres of land in Roping Field, were conveyed by Edmund Batten of Yeovil, Gent., to John Ryall. In his will dated 1813, John Ryall bequeathed the Oxen Furlongs (comprising Oxen Furlong, Higher Oxen Furlong and Lower Oxen Furlong) to his grandson John Ryall Mayo, the future first mayor of Yeovil. 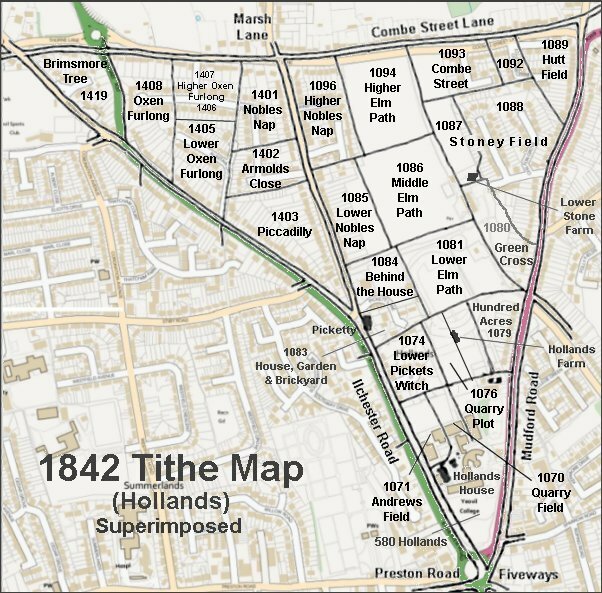 The 1842 Tithe Map shows Parcel 1406 but the 1846 Tithe Apportionment does not mention Lower Oxen Furlong although there are two separate entries for Higher Oxen Furlong, so a mistake in the Apportionment is likely. Today the former field known as Lower Oxen Furlong is completely filled with housing of Alastair Drive in the north and Ilchester Road in the south. The Hollands area reproduced from the 1842 Tithe Map. Lower Oxen Furlong is toward top left. 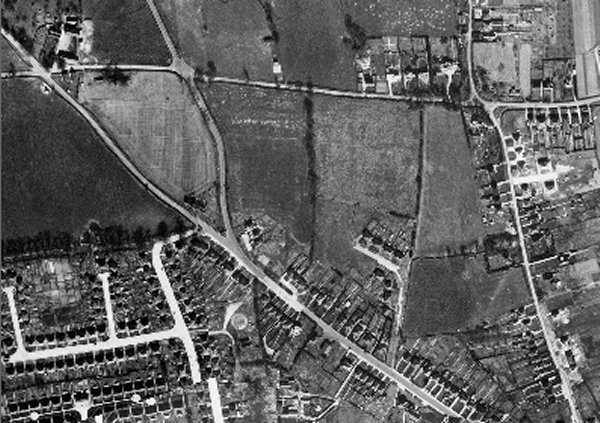 The 1946 aerial photograph showing Lower Oxen Furlong right of centre. The hedge line between Higher Oxen Furlong and Lower Oxen Furlong is just discernible and below this the first four pairs of semi-detached houses of Alastair Drive have been built in the northern half of Lower Oxen Furlong while houses of Ilchester Road occupy the southern half.